Check out our Guest Mixes with LRCN's The Bidness #100 Special Show on DI.FM's Progressive Channel!!! Question: will *all* mixes be available here, or just the ones from Project C and DJ GT? Really looking forward to hearing some of your great mixes again!! Man, this is just awesome. I'm glad I have had been given ears to listen to these awesome mixes. Thank you!! Thanks for COMING BACK with my #1 source of and PREFERRED mix sets. YOU ROCK (TRANCE) !! Keep up the VIBE, great JOB. Thnx very much, loving it. I listened continuously to your mixes in the golden era of vocal trance (which, IMHO ended years ago). I'm glad to see that you guys are back. Project C's session reminded me of the deep progressive house style of Matt Darey's Nocturnal sessions, which are actually my favourites. 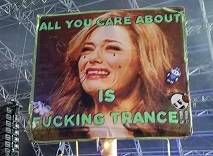 I hope you keep posting and these forums become again a temple for the trance genre. Posted: Wed Oct 16, 2013 3:14 pm Post subject: .cue files? Hi! Are there .cue files for any of these mixes?